Does Iran’s president have the juice to sell his nuke deal at home? (Foreign Policy, November 26 2013)After this weekend’s historic interim agreement between Iran and the world powers that comprise the P5+1, one question looms large: Can President Hassan Rouhani sell the deal, which essentially freezes the Islamic Republic’s nuclear program in exchange for financial relief, back home, where he must walk a thin line between skeptical hardliners and a restive public that is anxious for sanctions relief? Although the accord contains few specifics — and is intended as a prelude to a more comprehensive agreement — it represents a significant departure from the hardline policies of the Ahmadinejad era and leaves the president’s right flank exposed. It speaks volumes that Iranian Foreign Minister Mohammad Javad Zarif, more than anyone else, was committed to keeping the contents of the agreement secret until it had been signed. Despite Rouhani’s commanding win in Iran’s July presidential election, his administration remains politically vulnerable at home. Before becoming the country’s foreign minister, Zarif spent more than six years wandering in the wilderness of President Mahmoud Ahmadinejad’s Foreign Ministry; Iranian conservatives accused him of having been too close to American officials in the early 2000s, when he was Iran’s ambassador to the United Nations — a considerable liability in Iran’s deeply anti-American political environment. Rouhani, meanwhile, is considered inexperienced in the executive branch, even if he has considerable policy experience. He is also the only Iranian president not to be affiliated with any political party (although he used to maintain loose ties with the conservative Combatant Clergy Association.) As a result, his political capital derives from three decades of friendship and cooperation with other Iranian politicians and from his overwhelming popular mandate — something that might easily melt away. In the face of such uncertainty, even Supreme Leader Ayatollah Ali Khamenei has been hedging his bets, ensuring his own domestic success regardless of the outcome of the negotiations. At the same time that he supported the negotiating team after the previous round of talks, Khamenei continued to call the United States “unreliable” and an “oath-breaker.” Just before the Geneva talks began on Nov. 20, he unloaded verbally on Israel, calling the Jewish state a “dirty, rabid dog of the region.” Eight years ago, Khamenei said that his opinions closely paralleled those of Ahmadinejad. Now he is visibly distancing himself from the former president, who is one of the most hated political figures in Iran. Soon, Ahmadinejad will have the distinction of being the first president to appear in court to answer lawsuits filed against him. By supporting the negotiating team on the one hand, and verbally attacking the United States and Israel on the other, the Supreme Leader has insulated himself from any responsibility for failure at the negotiating table, while leaving enough room to claim credit in the event of diplomatic success. In so doing, however, he has revealed the limits of his power. Unlike other dictators and kings in the region — strongmen whose success or failure has no effect on their political power — the Iranian leader neither enjoys high confidence nor holds absolute authority. Although he has the last word on all decisions in Iran, he must carefully hedge against failure by the negotiating team — a reality that is at odds with the image of the Supreme Leader presented by his supporters. In part, Khamenei’s vulnerability is a function of the strength of the opposition movement. Among the Supreme Leader’s most vocal critics are Mohammad Khatami, Iran’s reformist former president, and Ali Akbar Hashemi Rafsanjani, the powerful head of Iran’s Expediency Council, who twice served as Iran’s president and as speaker of the Iranian Parliament before that. Both enjoy considerable followings in Iran — and both threw their support behind Rouhani in the presidential election. Other dissidents have been preemptively sidelined by the regime. Former Prime Minister Mir Hossein Mousavi and Mehdi Karroubi, a cleric close to the late Ayatollah Khomeini and former Speaker of the Parliament — both presidential candidates in 2009 — have been under house arrest for more than 1,000 days without charges. The fact that the Supreme Leader has chosen to hold but not charge these figures hints at just how threatening they are to the regime. The weakened position of hardliners, meanwhile, was on display during this summer’s presidential campaign. During the election debates, Saeed Jalili, Ahmadinejad’s nuclear negotiator and allegedly Khamenei’s chosen candidate, was sharply criticized by the other six presidential hopefuls, including Ali Akbar Velayati, the Supreme Leader’s advisor on international affairs, for his failure to produce results in the nuclear negotiations and for inviting multiple rounds of economic sanctions against Iran. Rouhani, meanwhile, scored points with his quip that the “centrifuges must turn, but so should the wheel of people’s livelihoods,” a not-so-veiled swipe at Jalili and a reminder that Khamenei is far from untouchable. Against this backdrop, the failure of nuclear negotiations — or a compromise that might incite the wrath of the conservatives, the military, and security forces — could cost the Supreme Leader dearly, calling his wisdom and competence into question. As if to remind Khamenei of this fact, the radical conservative newspaper Kayhan, whose editor-in-chief was appointed by the Supreme Leader himself, has consistently reported on statements made by members of the U.S. Congress and by Israeli officials, doubting that negotiations could render results favorable to Iran. Moreover, as soon as details of the agreement were published — and while most of the country’s other newspapers were reporting on an Iranian “victory” or the Iranian people’s joy over the agreement — Kayhan published the headline: “The U.S. Was Not Trustworthy: The Geneva Agreement Lasted Only One Hour.” In the article, the newspaper accused U.S. Secretary of State John Kerry of “violating the agreement by denying Iran’s right to uranium enrichment.” On Nov. 25, Kayhan reported that a group of Iranian lawmakers were demanding to summon Rouhani and Zarif for questioning about the details of the negotiation. In the face of such obstructionism by extremists, Rouhani must draw on his biggest source of political capital to move the negotiations forward: the support of millions of voters who have applauded the interim agreement. On the night of Nov. 23, millions of Iranians stayed awake to follow the Geneva developments live on BBC Persian television. By and large, they weren’t watching to find out if their right to enrich uranium would be recognized — or whether the Arak and Fordo nuclear plants would be able to continue their operations. Instead, Iranians wanted to know if the West’s economic sanctions would be lifted. Though it was only a small step toward bringing Iran in from the cold, the Geneva agreement demonstrated that Rouhani is moving towards fulfilling the will of the people. But the lifting of sanctions was only one of Rouhani supporters’ two main demands — both of which partially propelled the president into office in June. The other demand was the expansion of political and civil rights, as well as the release of political prisoners like former presidential candidates Mehdi Karroubi and Mir Hossein Mousavi. The enthusiasm of marginalized supporters of the two major reformist candidates in the 2009 election generated powerful momentum for Rouhani, ultimately delivering him the election. But over the past several months, the president has focused on the country’s nuclear dossier, while keeping silent on his promises of political freedom. As a result, hundreds of political prisoners detained after the 2009 election are still behind bars, freedom of expression remains seriously restricted, and convicts are being hanged at an even higher rate than in the Ahmadinejad era. And while Rouhani has taken an important first step forward on the nuclear issue, his supporters — his main source of political capital — expect him to deliver on his promises in the political arena. When Zarif returned to Iran on Nov. 23, thousands of people welcomed him to Tehran by chanting slogans demanding the release of political prisoners. “After the Geneva agreement, it is Mir Hossein [Mousavi]’s turn,” and “Greetings to the diplomat, hello to reforms,” are just two of the slogans people chanted upon the foreign minister’s return. In order to protect the hard-won nuclear agreement, maintain his widespread popular support, and successfully continue the negotiations over the next six months, Rouhani must take steps to deliver on his campaign pledge to improve the human rights situation in Iran. Just as his foreign minister has access to Facebook, Twitter, and YouTube — which he uses as diplomatic tools — Rouhani should make them available to everyone. Though opening up the political sphere would undoubtedly anger political conservatives, it would also strengthen Rouhani’s position domestically by boosting his popular support. In turn, this would reduce the chances that conservative forces would be able to scuttle the nuclear deal. Ultimately, Rouhani cannot choose between the nuclear issue and human rights. Nor can he attempt to tackle one after the other. If Rouhani is going to turn this weekend’s historic interim agreement into something more lasting, it will have to be accompanied by an equally historic opening of Iran’s political sphere. Ban Ki-moon in Tehran: Too Little, Too Late? Iranian leaders are masterful in manipulating the true reality on the ground in their country and obsessively addicted to taking advantage of any political opportunity to strengthen their own narrative of events. This week’s Non-Alignment Movement Summit in Tehran was one such occasion. Trapped in two major crises–one Iran’s nuclear program and the subsequent series of sanctions adopted by the UN and the US, the other a series of UN resolutions against the country’s human rights record, which together have not only weakened Iran politically and economically but also created an oppressive image of the regime–Iranian leaders wanted to show they are still thriving. As Tehran planned the summit, officials made sure to bring in as many heads of state from as many countries as possible, even those insignificant to Iran’s economy or national security, to fabricate a fairytale of influence and popularity between nations. 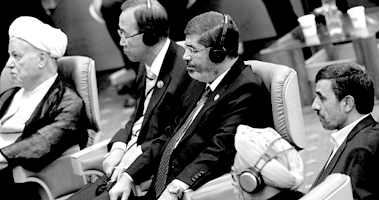 In orchestrating the show, the presence of two men was pivotal: UN Secretary-General Ban Ki-moon and Egyptian President Mohamed Morsi. In the opening ceremony of the summit, Morsi, the first Egyptian president to travel to Tehran since the 1979 Revolution, harshly criticized Syrian president Bashar al-Assad’s regime and said it has lost its legitimacy. Iranian president Mahmoud Ahmadinejad, seated beside him, became so uncomfortable with these words that he started playing with the translation buttons in front of him, pretending not to listen. Iranian television, well-versed in damage control and spinning facts to match the official narrative, totally misled its audience by changing the lines in which Morsi slammed al-Assad, Tehran’s closest ally in the region. The president of Egypt left Tehran a few hours later, his speech having challenged Iran’s carefully crafted projection of unity and support from a powerful regional Muslim country in the Middle East. The Secretary-General was not nearly as bold. He did not visit any of Iran’s prisoners of conscience, he did not obtain any guarantee from Iranian officials that they would respect their obligations, and he did not publicly pressure Iranian officials on their human rights record. Given that Iranian authorities have done everything in their power in recent years to undermine decisions made by various UN bodies, from the Security Council to the Human Rights Council to the General Assembly, Ban Ki-moon’s presence in Tehran was not necessarily expected. Iranian officials have repeatedly attacked the motives behind UN mechanisms, questioned the independence of the decision-making process in the UN, and downplayed its role on the international stage. In keeping with this policy, Iranian officials have ignored the vast majority of communications from the UN thematic mandate holders and have refused to allow the UN Special Rapporteur on Human Rights in Iran to even enter the country. And yet, Iranian officials welcomed the UN Secretary-General to the country with open arms, hoping that in such tough times for Tehran, he lends them legitimacy–precisely at a time when they want to show the rest of the world their anti-UN campaigns on both the human rights and nuclear fronts. But Ban still decided to go to Tehran. This put the highest-ranking UN diplomat in a very delicate situation with high expectations and raised a simple question: could the Secretary-General, while in the country and meeting the highest-ranking Iranian officials, gain anything substantial regarding Tehran’s two major crises, in return for the boon his presence in Tehran granted the Iranian propaganda machine? Right before his departure from New York, hundreds of Iranian activists and academics, in a letter submitted to his office, asked Ban to visit the two Iranian opposition leaders, Mir Hossein Mousavi and Mehdi Karroubi, who have been under house arrest for more than a year and a half, while in Tehran. Reports from Tehran indicate that the majority of Ban’s criticism of Iran was around the country’s nuclear program, the Supreme Leader’s allegations against Israel, and Tehran’s role in the Syrian conflict. Although his spokesman said that he raised the issue of human rights in the country, it appeared that was not at the top of his list. Evin Prison, which holds the majority of the prisoners of conscience in Iran, is just a few miles away from where UN Secretary-General Ban Ki-moon stood to take pictures with Iranian President Mahmoud Ahmadinejad, and yet he did not take the opportunity to visit the facility. But a few sentences to a group of professors stating that Ban urged Iranian officials to do such-and-such was too little, too late. If Iranian leaders don’t care about resolutions signed by dozens of countries, why should they really care about remarks made behind closed doors? In his visit to Tehran, the Secretary-General had an excellent opportunity to discuss serious human rights issues with Iranian officials, not only behind closed doors–where Iranian officials excel at making promises and promptly forgetting about them in public–but transparently, before the eyes of the world. It is not clear to what extent, if any, the Secretary-General has been able to discuss the situation of human rights in Iran, whether he has made any progress in holding authorities accountable, in asking Iranian officials to cooperate with UN human rights bodies and to ensure cooperation with its mechanisms, or in guaranteeing any such agreements take effect. After this visit, Iranian officials have no incentive to change their policies or their behavior with regards to human rights violations, as they have already seen that they can score political points and have the leader of the largest international organization in the world lend them legitimacy without having to cede any ground or making any compromises. Secretary-General Ban Ki-moon missed a great opportunity to use his trip to influence the situation of human rights in Iran. The least he can do now is to tell the world what discussions he actually had with Iranian officials, what they promised to do to change the course of the human rights crisis, and whether he was able to secure a visit to Tehran by UN Special Rapporteur Ahmed Shaheed. And what about visiting the captive opposition leaders? Shedding light on those discussions and openly calling for Iranian authorities to take a number of concrete steps toward respecting their international commitments may be a way to salvage the scraps of this squandered opportunity. Rapped to Death: Why the Ayatollah Wants a Singer’s Head? Until May 7, Shahin Najafi, 31, was just a semi-famous Iranian singer in Germany whose angry rap songs were popular amongst Iranian youth. 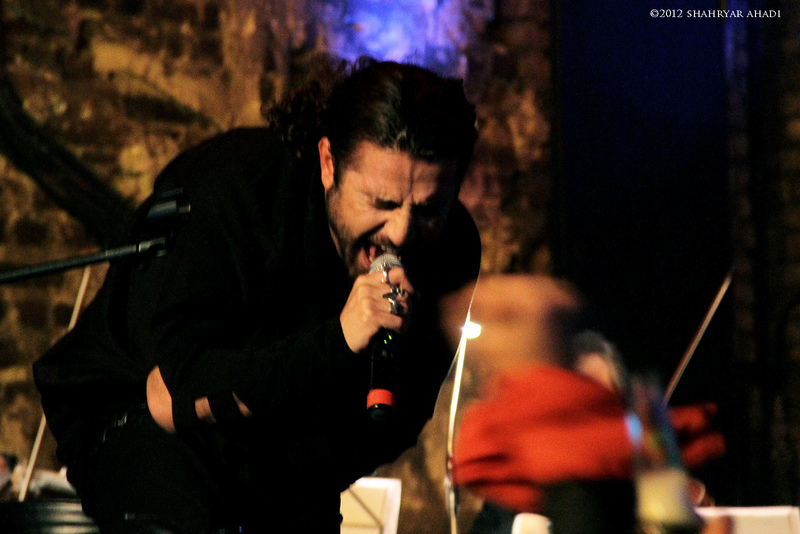 But the release of his latest song, “Naqi,” the name of Shiites’ 10th Imam, turned his life upside-down when hardliners in Tehran called for his murder, following a fatwa issued by a grand Ayatollah who accused him of apostasy. For many, it seems he has joined the Salman Rushdie club. For a story I wrote for the Daily Beast last week, I interviewed Najafi, who currently lives in hiding under the protection of German police. I asked him about the song, his life since receiving death threats, the apostasy fatwa, Salman Rushdie, religion, Iranian society, and whether he might apologize for the severe backlash he is facing. Below is the full interview with him. Your last song has unleashed a huge reaction: some have interpreted it as mocking Islam. Why did you name a Shiite Imam, and how different is that interpretation from what you intended? This is 100% misinterpretation. Just as I believe religious views must not question and pressure non-religious views, as a non-religious individual, I am not allowed to insult those who hold religious views. But we must define what constitutes an “insult.” What I did in the lyrics of my song “Naqi” should not be called an insult. We used the name of one of the Imams in order to express the cultural, social, and political problems inside Iran. How has using this name helped to describe these problems? This was just an excuse–it is a theme through which I can say other things. The Imam’s name has secondary importance. The main point is what the poem contains. Why did you choose Imam Naqi from among the twelve Shiite Imams? This also has to do with what is happening inside Iran. Some Iranians started a Facebook page in which they refer to Imam Naqi as the Imam Shiites forgot about, using satire. When you wrote this poem, did anyone warn you that such content could cause offense? In whatever I have ever done, there could have been this possibility. But I never thought or think about the consequences. About this particular piece, I never thought things would get to this point and that the issue would get into international media. I didn’t think it and I didn’t want things to reach a point where some people would be upset, and for some who have direct ties with the ruling system in Iran to abuse these upset feelings. They are the ones that derailed public opinion and are somehow abusing people’s religious feelings. Any fair individual could see that I have no reason to insult. My goal is something else. Why would I pick on someone who lived several centuries ago? This is just an excuse, a pretext for me to talk about what is happening in Iran today. My question to those who insult and swear and issue fatwas against me is: why didn’t they make a peep when our youth were being raped inside Iranian prisons? A Grand Ayatolla issued a fatwa several weeks ago against those who insult Shiite Imams. Some Iranian news agencies have reported that the fatwa is against you. How has this news affected your daily life? My daily life and work have been derailed. Naturally, I continue my own way, but this didn’t make me happy. It was surprising to me. I realized that some inside Iran are trying to run a campaign that has nothing to do with me and they wanted to find justification for what they had in mind. They created a campaign for my execution. The latest news is that Shia Online website has announced a $100,000 prize for my head! It is surprising why they would want to divert the public opinion like this and to introduce me as someone who wishes to fight with the religion. I have nothing against people’s beliefs. I do my own artistic work. Has the German government taken steps to ensure your security? The German government has taken routine steps, but I’m not at liberty to discuss them. But experience has shown that these steps are not sufficient. Do you have bodyguards right now? I am living in a secret place now. I don’t have any bodyguards. If you wanted to send a message to religious rulers, what would you say? I would say that they won’t be able to divert public opinion by creating waves. Under the skin of the Iranian society things happen that are extremely horrific. Iran’s daily talk is about the epidemic drug addiction, prostitution, child abuse, and divorce. My advice to those who heavily rely on religious points is that they will eventually reach a point and see the day in Iran when everyone will approach religion on a personal level and they will no longer be able to rule the people. I have a problem with political religion. It is none of my business who worships what and respects which religious authority. This is a personal issue for individuals. In the same vein, it is none of their business whether I do or don’t worship anyone or anything. As a citizen, I believe that no one type of ideology can rule over the likes of me. I will scream and say these things to the best of my ability. I consider it my duty to fight superstition. When they invent electronic shrines or mobile shrines, of course I will use it in my satire. Of course I will laugh at it! Have you found people who embrace your work? Certainly! And I would like to thank my fans and those who have been by my side during the past few days and on the Internet. I have friends who have compromised their own lives and have received verbal abuse and insults for me. They know that time will show everything. Do you think that a critical approach to religion is something exclusive to you and your work, or is this a trend among Iranian youth? This subject exists on multiple levels in Iranian society. I have the possibility to do my part through my voice and my guitar. Someone may write on his/her Facebook page. Someone may write a poem. I believe there is a flow that becomes bolder in some areas. We face a rebellious crowd that is pouring out its rebellion in different forms. Will you apologize for this song? I am usually a stranger to apologies. At least in my artistic work, I have tried to make few mistakes. I do things with people by my side and behind me and I take responsibility for it. I am not alone. It is stupid to do something and then to take it back. I must have thought about a part of what has happened. I have always prepared myself for any type of consequence. I have solved this issue with myself. I am not one to apologize. I will stand by my position. Ayatolla Khomeini once issued a fatwa of apostasy and set a bounty on the head of Salman Rushdie, a British author of Pakistani descent. Have you thought about that over the past few days? Even if we assume that such a fatwa is issued for me as they say, my situation is still not an exact match. But I got into this story unwittingly, and now I await something to happen at any moment. Do you take the threats seriously? 100%! At first I thought it was a joke. But it got more and more serious by the moment. I was threatened in any way they could reach me. They were so wounded that I am sure they would strike at me wherever they can. They were looking for an excuse; this is why they went after a fatwa. The fatwa by Ayatollah Safe Golpayegani states that whoever insults and disrespects the Imams is an apostate, and an apostate in Islam must be executed. This fatwa may be authentic, but I don’t know and I am doubtful whether it is about me or not. This is why they used this incident as an excuse and they attributed this fatwa to me, so that it could justify something that they may carry out at any given moment. I mean, if something should happen to me, they will say simply that it was carried out according to the fatwa. I mean they will justify it according to Sharia. That won’t be necessary at all. They have supporters among other nations who could pay me a visit. They can easily hire people and later deny that they have done it. Their object is to create fear, intimidation, and terror among people and for me, so that I don’t continue with my work and people become fearful that they could be persecuted for listening to my music. Rest assured that if they can do anything against me, they would not hold back. Through information we have, I know that they are very angry with me, because I use the language of people on the streets and in the markets. I know about our society and I pour our society into my poetry. I know exactly what I am doing. And this is why they do what they do. They will not miss a chance to tarnish my character or to eliminate me physically. If you were to re-do this piece of music, would you make any changes in it? I think I would complete it, adding the new things that have happened. One thing that all Shiites could ask would be, why does everyone only pray to Imam Ali? Why doesn’t anyone go after Imam Hassan? Why do they only look for Imam Hossein? Imam Naqi was an important Imam. If you ask ten Shia Muslims about Imam Naqi, eight of them cannot be certain whether Naqi was the ninth or tenth Imam. This Imam has been abandoned. I think they should be thankful to me for reminding them of this. I did not aim for Imam Naqi himself. I wanted to say other things, which I did. I did what I wanted to do. 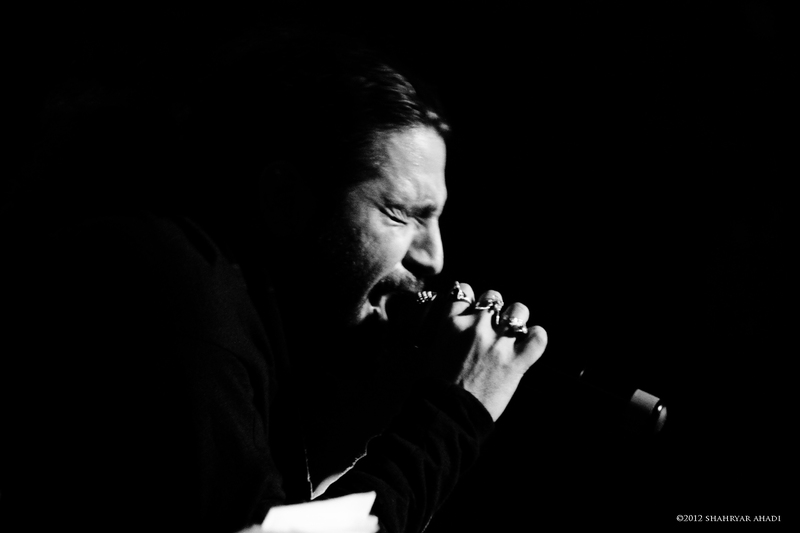 -To find out more about Shahin Najafi and more analysis about his song read the Daily Beast’s “Iranian Rapper Shahin Najafi Faces Death Threats for Song Deemed Insult”. NEW YORK, Feb 28, 2012 (IPS) – Amid mounting tensions between Iran and the United States over Tehran’s nuclear programme, perhaps nothing less than an Oscar to the acclaimed feature film “A Separation” could have brought smiles to the faces of millions of Iranians who see most news as bad news these days. 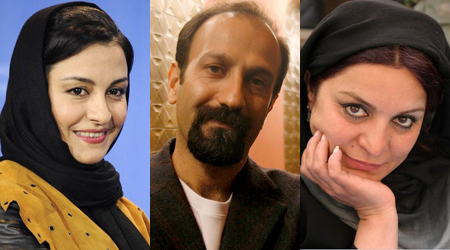 Written and directed by Ashghar Farhadi, “A Separation” was Iran’s entry for the Academy Awards in the Best Foreign Film category. An acclaimed and powerful drama, the film received the first Oscar in Iran’s cinema history Sunday night in Los Angeles for a sophisticated story that captures the essence of everyday life and the difficulties of being honest when it’s costly to do so.